Sara Yong › Sara Knits Co. In university I learned how to knit. It was a way of keeping my hands busy while exercising my creativity and logic and math skills. The knitted pieces would pile up and naturally my inclination was to sell them. I set up a shop on Etsy in 2015 and hold a handful of pieces here and there. It wasn’t until 2016 when I couldn’t find a pattern for a top design that I wanted to make. 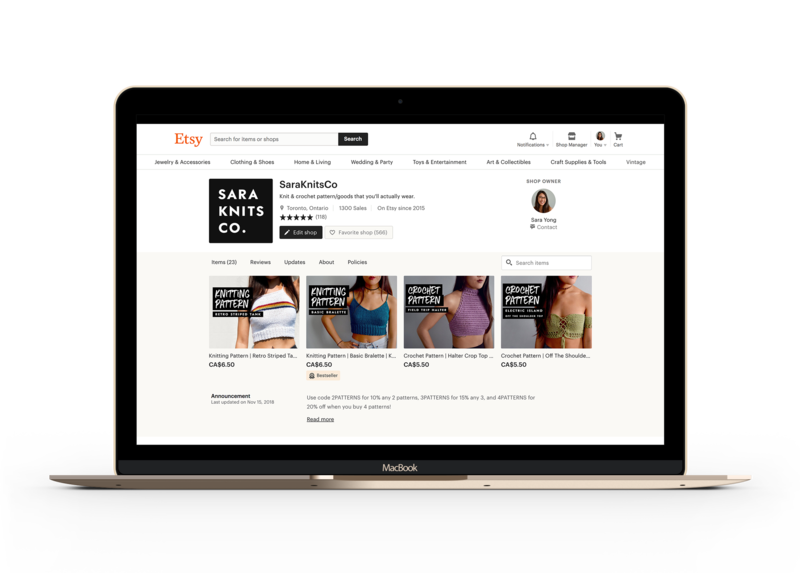 So I wrote my own and put it up for sale. 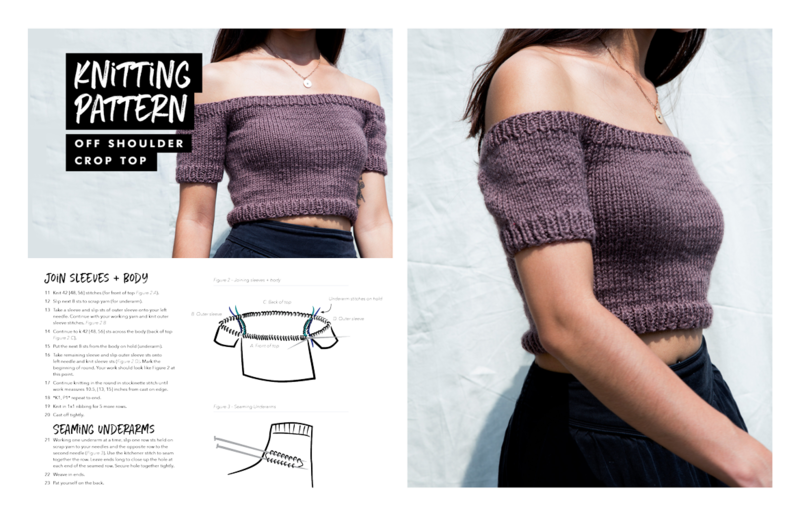 I found my niche designing knit and crochet pieces and using my graphic design skills to write easy to read patterns. I now offer 13 unique digital patterns in my store, along with seasonal finished pieces. 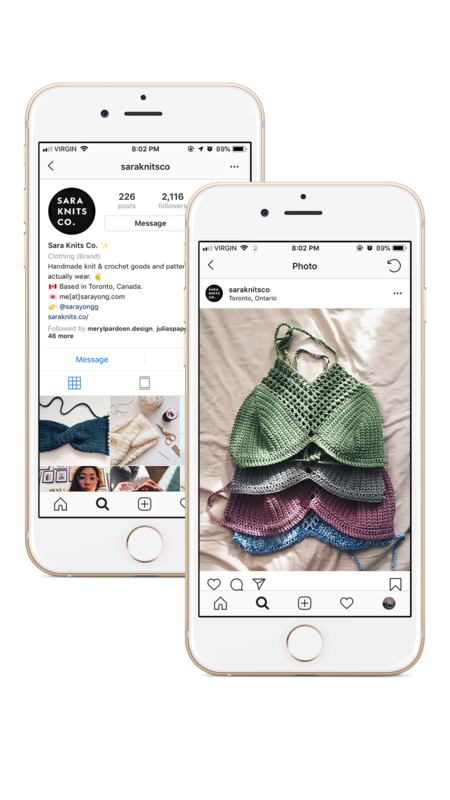 Since January 2017 Sara Knits Co. has had +72.2k visitors and over 1000 online orders. It has served as a channel of passive income. Sara Knits Co. is a one-woman show. I drive sales through social media marketing and fulfil physical orders from my Toronto apartment. When inspiration hits, I design, draft, and layout each pattern which is offered in multiple sizes. I also photograph, model, and art direct the whole operation.